The 20th Century saw the birth of a number of enduring man-made marvels: the jet engine, the microchip, the artificial heart, and My Fair Lady. There may have been musicals more sophisticated or succinct; but few are as durable and delightful as the Lerner-and-Lowe adaptation of George Bernard Shaw's Pygmalion. 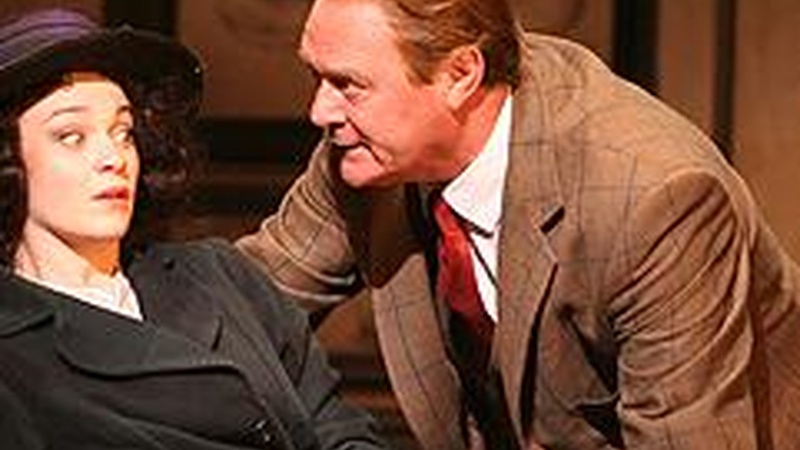 The elaborate revival currently playing at the Ahmanson Theatre (based on a London production that ran for years) proves that My Fair Lady is hard to spoil. Despite the fussy choreography, a skimpy orchestra and two leads that are more serviceable than sparkling, this touring show still entertains. Interestingly, the best parts of the show are not the musical numbers. Christopher Cazenove has a voice that at times sounds uncannily like Rex Harrison, but numbers like "Why Can't the English" and "I've Grown Accustomed to Her Face" don't flow from him naturally. They feel like a Henry Higgins suit he's trying on rather than a smoking jacket that he's been wearing all his life. As Eliza Doolittle, Lisa O'Hare is a hoot in the Ascot scene when Eliza strains to speak in a refined manner, unfortunately her singing lacks this same grace. Hers is a pretty voice, but it lacks agility—not to mention a warmth that would bring us closer to Eliza's desires and feelings. Luckily, Lerner and Loewe's masterful music and lyrics do much of this work for the cast—and Trevor Nunn's graceful handling of the non-musical scenes makes the dramatic elements of the show stand out. One can also be grateful for Nunn's restraint at the finale, instead of having Eliza and Higgins fall into each other's arms at the end, as is often the case, the two exchange a simple handshake. This may leave some hopeless romantics cold—but it is the way Shaw insisted the story should end...and given Cazenove and O'Hare's less-than-steamy interpretations, it feels appropriate. Where this revival does disappoint is in the musical numbers. First, the singers are over-amplified and the orchestra anemic. A sixteen-piece band is simply not enough to envelop one in My Fair Lady's luxurious melodies (the original production boasted an orchestra twice that size). Second, Matthew Bourne's choreography is gimmicky and rarely graceful. Having kids tap dance with trash can lids strapped to their feet is novel, sure; but it's also clunky and gets old fast. Bourne's hand can also be felt at the gothed-out Ascot horse racing scene where everyone wears black. Again, clever? Sure, but it feels more like a self conscious way to avoid comparison with Cecil Beaton's famous costumes rather than any real artistic inspiration. Whether Bourne is to blame for Eliza's brief appearance in a choreographed woman's suffrage rally, who can know for sure, but this type of revisionist audience pandering is emblematic of his feel-good-at-all-cost style. The one inspired element of this touring production is the casting of Marni Nixon as Henry Higgins' mother. Nixon is a musical theater veteran, but she also the singer who provided the voice for Audrey Hepburn in the film version (not to mention the voice of Natalie Wood in West Side Story and Deborah Kerr in The King and I). Nixon brings charm to the small character role—as well as a sense of tradition that the production too often ignores. Experiencing My Fair Lady can (and arguably should) feel like a smooth ride in a plushly upholstered Rolls Royce. This revival feels more like a ride in a packed double-decker tour bus; but it does allow one to at least see the sights and hear the sounds of a timeless piece of musical theater. My Fair Lady runs through Sunday at the Ahmanson Theatre.